This week we lead off with the new RPLIDAR A3M1 scanner, then our very own WiFi IR Blaster, an environmental sensor and a new magnetic screwdriver set! Let's jump in! The RPLIDAR A3M1 is the next generation of 360-degree, two-dimensional LIDARs. Each RPLIDAR A3 can take up to 16000 samples of laser, ranging per second thanks to its high rotation speed. The on-board system can perform 2-D, 360°-scans within a range of 25 meters in enhanced mode and 20 meters in outdoor mode. Additionally, the generated 2-D point cloud data can be used in mapping, localization and object/environment modeling! Do you want to control your TV via a web-browser? Want to ask Alexa to mute your stereo, or schedule triggers to your IR-controlled LED strip? These are all applications perfect for the WiFi IR Blaster! 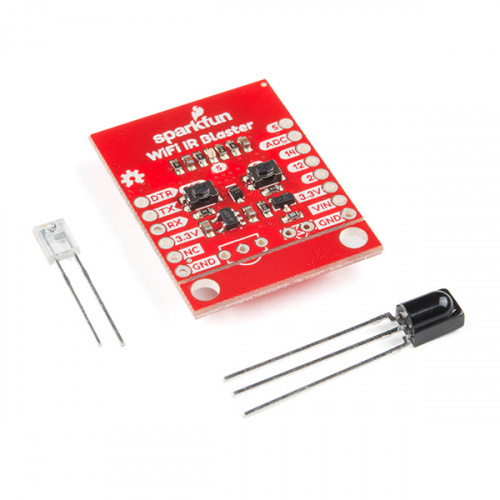 The SparkFun WiFi IR Blaster is designed to connect all of those old, legacy IR-controlled devices to a WiFi network, exposing them to a new method of control with the Internet of Things. The Blaster combines an ESP8266 – a powerful WiFi/microcontroller SoC – with IR emitters and receivers. With built-in WiFi support, the ESP8266 can be programmed to provide an interface between HTTP, MQTT, TCP and infrared-controlled devices. 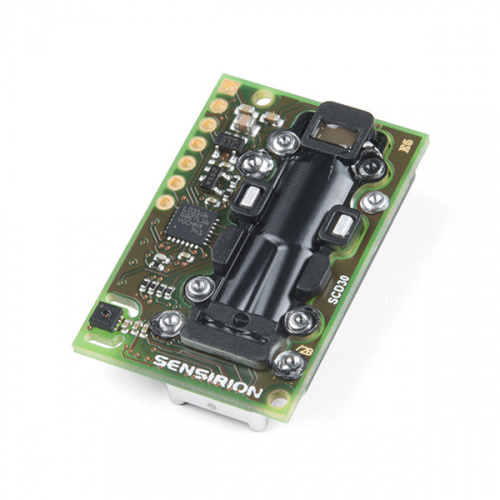 The SCD30 from Sensirion is a high-quality Nondispersive Infrared (NDIR)-based CO₂ sensor capable of detecting 400 to 10000 ppm with an accuracy of ±(30 ppm+3%). In order to improve accuracy, the SCD30 has temperature and humidity sensing built in, as well as commands to set the current altitude. For additional accuracy, the SCD30 also accepts ambient pressure readings! Let's face it, everyone will need a screwdriver at some point, so it is best to have plenty of different driver bits. 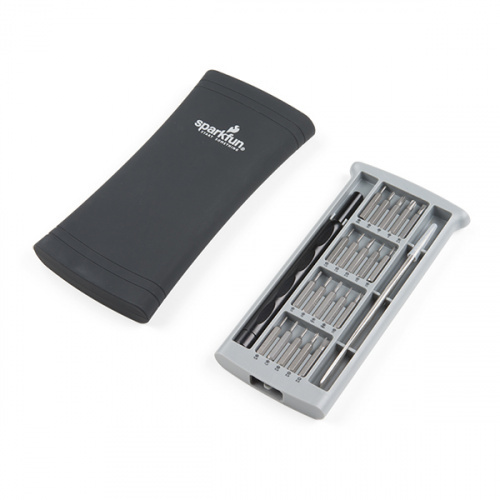 This is a 20-piece screwdriver set that magnetically keeps each of the unused bits secured inside a thin case that fits in your pocket. On top of all the bits and handle, this screwdriver set also comes with a pair of tweezers! And that's it for new products this week, folks! As always, we can't wait to see what you make! Shoot us a tweet @sparkfun, or let us know on Instagram or Facebook. We’d love to see what projects you’ve made! When I click on the IR Blaster video, I'm getting a message that it's been removed by the user! Bummer... SF videos are (almost) always quite entertaining! There was a spelling error in the previous version of the video so we corrected it and updated the link. Should be up and viewable now! Thanks! I was right! It IS entertaining! But regarding the IR Blaster... what I'd really like to see is one that interfaces with the venerable X-10® system. There is an IR interface for X-10 (IR543 or IR7243), I imagine this would work with it. Friday Product Post: Plus Ultra! Friday Product Post: Holy Pimoroni!